ER Editor: Today the EU Parliamentary vote to institute disciplinary proceedings against Hungary for its stance on migration and the country’s media will take place, requiring a two-thirds vote to come into effect. The RT report below detailing Orban’s response in the EU Parliament yesterday and Farage’s reaction would not be complete without the video of Farage’s short speech. ER unapologetically tips its hat to leaders who are prepared to defend the integrity of the nation state and citizen wishes against the destructive open borders nonsense of the globalist financial establishment. UPDATE: The EU Parliament has just voted in favor of triggering Article 7 against Hungary. Orban accused the “pro-migrant majority” of having “already made up their minds” to invoke the European Union Treaty’s Article 7 against Hungary for its treatment of migrants and minorities, and the ruling party purported abuse of the law and suppression of media freedoms. One setback for Orban, however, was the decision by Austria’s governing center-right party People’s Party to back the report. 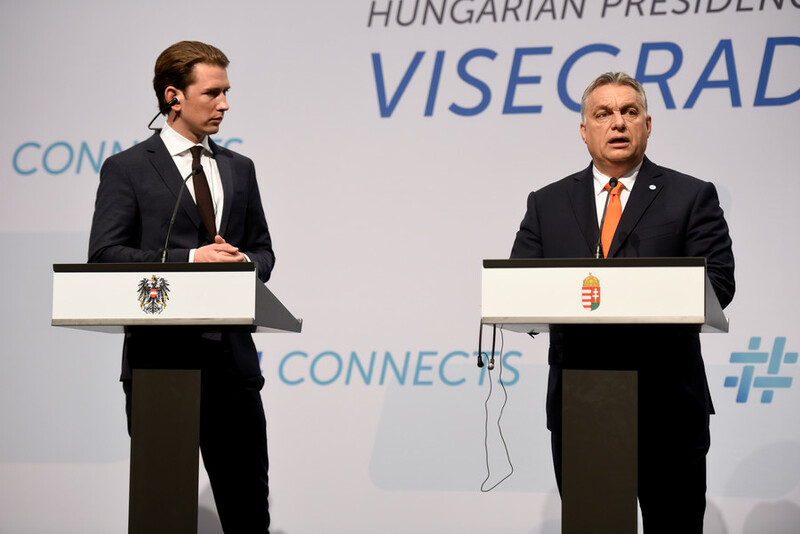 Hungary’s northern neighbor appeared to be on the verge of joining the Visegrad Group of four anti-migrant European states (which also includes Poland, Czechia and Slovakia) when Sebastian Kurz won the election last year. All the same, Orban retains the support of one notable Europarliament presence.